As you walk through the aisles of your local supermarket, or even peruse the Internet marketplace, you are often bombarded with multiple products that you would never imagine purchasing. Really, your wildest dreams don’t even have you buying some of the stuff you can find in the darkest corners of the Web. Don’t worry if you have no idea what this means, as it only applies to those in Russia. The number 228 happens to correspond to the Russian Criminal Code for possession of narcotics, and has become a popular logo for kids to wear that want to show their disrespect for the law. Many shirts also come with the phrase (translated from Russian): “Beware of 228 if you powder your nose.” I guess they’re not big on subtlety. Sauna lovers across this great nation no longer need to stay at home alone when they want to relax in the heat. 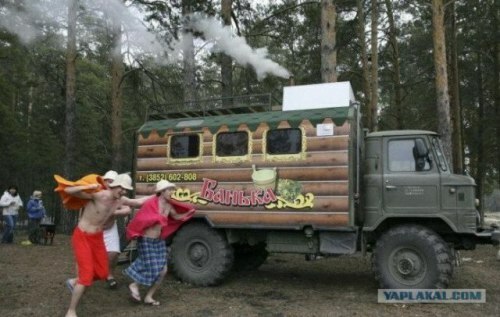 Instead, they can enlist in the services of a mobile sauna truck that will take them, as well as a group of friends, deep into the woods for a fun-filled sauna adventure. The driver can often find sub-alpine lakes that act as a wonderful way to cool off after a few minutes inside the heat of the truck. If you go, make sure to bring your own towel, and leave your integrity at home. Utilized rather rarely in the rural areas of Belarus, the cucumber picker consists of a central tractor, pulling a device on which ten different individuals can lie. 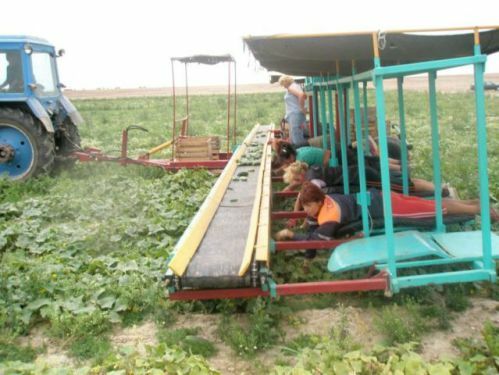 As the tractor moves over the cucumber fields, the people can pick the vegetables from the ground with their bare hands, and put them on a conveyor belt that moves towards the center of the contraption. 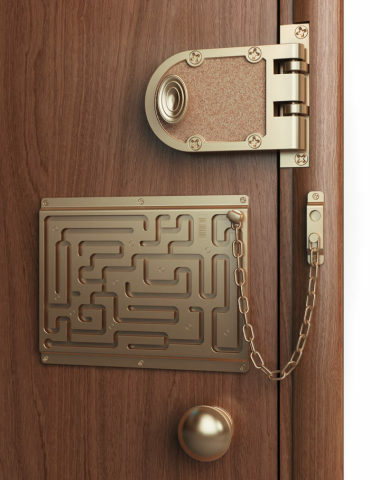 This door chain is for those who truly wish to test the intellectual might of anyone wishing to leave. Instead of consisting of a regular chain track, the Defendius holds a full labyrinth that must be passed by the lock before the individual may pass through. This is good to prevent the exit of animals, toddlers, and even relatively smart adults. Created by Leon Theremin, this bizarre instrument has been a staple in the soundtrack of video games and horror movies for centuries. 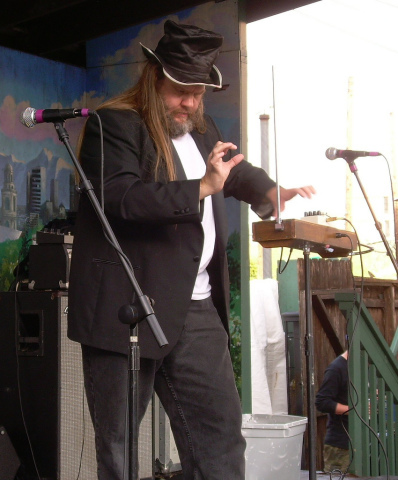 Utilizing high-frequency radio beams, the performer of the Theremin can use their hands to control the pitch and volume of notes performed, without actually touching the device. The electric signals are then amplified, and projected through a loudspeaker. While the sounds produced by the Theremin are by no means pretty, they do act as wonderful entrance music for any ghost or zombie. While this may sound cool, it’s probably not what you think. Unlike a jet pack, the propeller backpack is mainly used by one individual in Russia who skis to work – instead of pushing himself though, he relies on the fan strapped to his back as a type of motor. 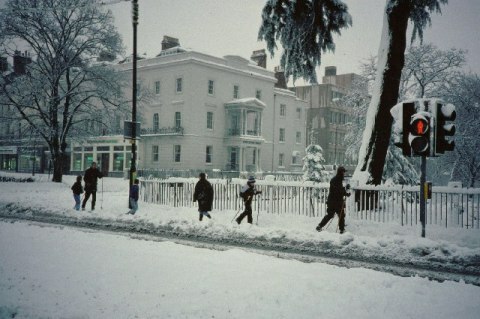 Here in the US, where alpine skiing to work isn’t as popular, it may garner a few questionable glances and even a call to the police. Kaspersky Labs, a company in Moscow that focuses on cybersecurity, came out with an antivirus device that can be attached to the computer as an additional peripheral that will protect the computer from viruses. They believe this is a wonderful alternative, as software can often become compromised. What they may not have fully realized though, is that because the device lacks network access, it would need to be updated and installed via software – thereby becoming a complete contradiction. Fashion in the States may be strange, but fashion across the ocean will most likely leave you with more than a few questions. The Boyar Hat, an item worn by Russian nobility in the 15th through 17th centuries, is one such item – of course, it wouldn’t be so strange if not for the fact that it has made a recent comeback into the world of Russian high fashion. At least their heads won’t get cold. 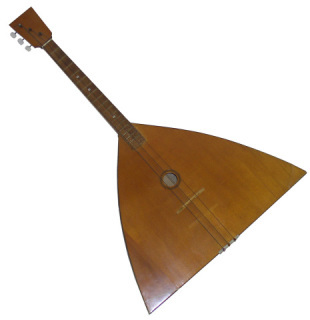 This stringed instrument, while popular across Russia, probably wouldn’t make much of a splash in the American market. And it’s not because we’re musically disinclined – it’s really just because we already have guitars. As if regular chess weren’t hard enough, Russians, back in the 1700s, created a four-person chess game variety that allowed for a multiplayer contest. 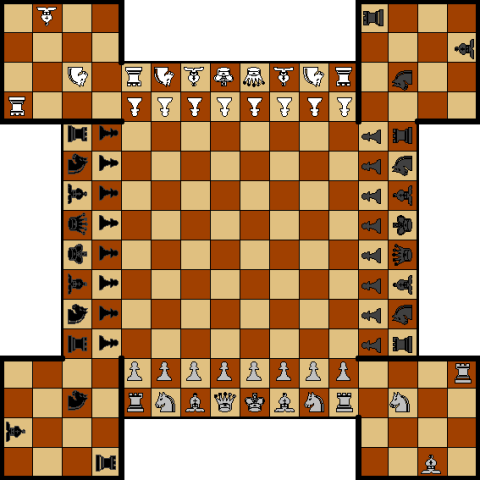 The board was shaped to allow each player an individual corner fortress, and play could involve team or individual competitions. This one might not catch on here, though – most of us are still trying to figure out the rules of real chess. Of course, this list isn't meant to say that the United States doesn't have its fair share of oddities as well. But unless you enjoy hot sauna romps in the woods with a few of your best friends, or neverending games of multiplayer chess, you may want to thank your lucky stars that you ended up in the red, white, and blue.